Persuading the consumers to buy is not without difficulties. It’s a blessing that there are theories and concepts to guide the marketers, one of which is the color psychology. Unfortunately, even this outlook is considered interesting yet controversial at least in the area of persuasive marketing. Color psychology is a fascinating facet of our behavior. In our effort to further understand and build on its importance of promoting brands online, we will discuss various published researches on persuasion and color theory along with the foundations laid by Gregory Ciotti, a Marketing Strategist at entrepreneur.com. First off, we should discuss the misconceptions around color psychology. Come to think of it, why such a concept invokes a lot of debates and conversations online and off and yet there are so little pieces of evidence or factual data to back it? Such shreds of evidence are hard to come by due to our preferences, experiences, cultural differences and contexts that muddy how colors affect each of us. As such, universally translating our perceptions of colors into concrete feelings will prove to be difficult. The reason behind such is that an individual’s experience with certain objects determines how that individual feels about the colors of those objects. Across cultures, there may be general trends when it comes to color preferences. However, a wide gap exists among individuals’ color preferences even when these individuals belong to the same culture. Yet another research pointed out the controversial color associations. Bland visuals such as below are also not helping the conversations. In fact, some visuals claim truths behind color psychology without verifying the ‘truthiness’ behind such claims. In simpler terms, we cannot associate colors with how a person perceives a brand or product more so emotionally because of our inherent differences. It’s suicide to even attempt. Now, here’s the fortunate part. Some researches offer some concrete evidence on the role of color in persuading the multifaceted consumers. Before we proceed, though, we should understand the importance of colors in branding. Branding is the most important issue when it comes to color perceptions. 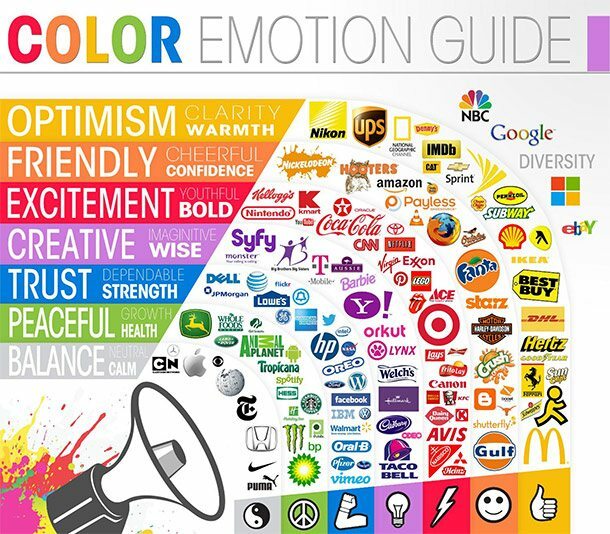 The Logo Company publishes its color emotion guide in classifying how a certain consumer responds to individual colors. Thereby, targeting logo colors is paramount specifically for the new brands. Remarkable colors will make the brand more prominent among the pool of rivals. Put simply, when everyone’s into blue, go purple. Color perceptions are also about the perceived relevance and suitability of the chosen color(s) for a brand or product. Consumers form a mental notion whether the color or colors of the product ‘fit’ what is actually being sold. Thereby, color has an inherent value when it comes to branding. Color perceptions present deeper marketing-related patterns not just in branding, but also in purchasing. A study about how color impacts marketing reveal that about 90% of the respondents make snap judgments about a product on the basis of its color. Interestingly, sensible use of colors contributes to product differentiation and influences feelings, moods and attitudes toward a particular product. How a consumer forms a reaction on point of purchase (POP) displays is also influenced by the dominant color of the display. Displays with blue or green background colors attract the most attention while displays with white background color attract the least attention. There is another study confirming that intents to purchase are affected by colors based on the impact of a consumer’s brand perception. Consumers are tended to associate colors with the brand personality. Think of Harley Davidson. Aren’t the motorcycles cool and rugged? When picking the right color of the brand or products and their packaging, remember color appropriateness. For the consumers, this is more important. Think of it this way: do you think Harley-Davidson will sell a pink, glittery Harley ever? Not! 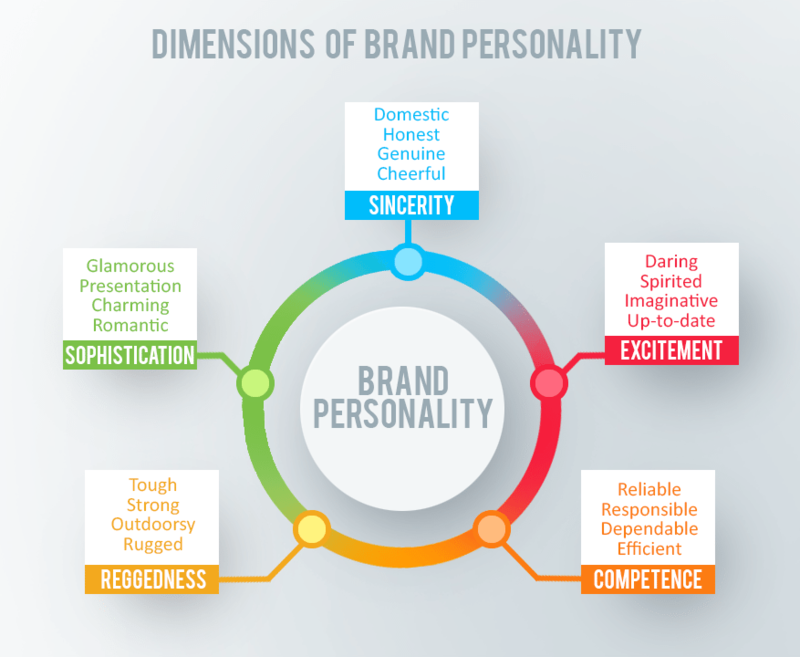 Brand personality has at least five dimensions that come into play. These dimensions that Professor Jennifer Aaker noted are Sincerity, Excitement, Competence, Sophistication and Ruggedness. Harley Davidson, obviously, fits the fifth dimension as it portrays tough and strong attributes. There are specific colors that can be broadly aligned with various traits. For instance, red is commonly associated with excitement and liveliness. However, it is critical that you choose a color that supports your brand’s personality rather than select based on stereotypical color associations. Green is often associated with calmness, right? However, green is also commonly used to refer to the environment. Take brown as another example. Brown is associated with ruggedness, and yet it is also related to warmth like the way we see brown in chocolate commercials. Needless to say, while there are no straightforward guidelines in choosing brand color(s), color is a critical aspect in branding. We, consumers, create brand identity based on their colors. Marketers read: the human brain responds better to brand names. In this context, red may spark excitement, but it also diminishes analytical thinking. Reflect this simple stance in choosing the right color of your brand. 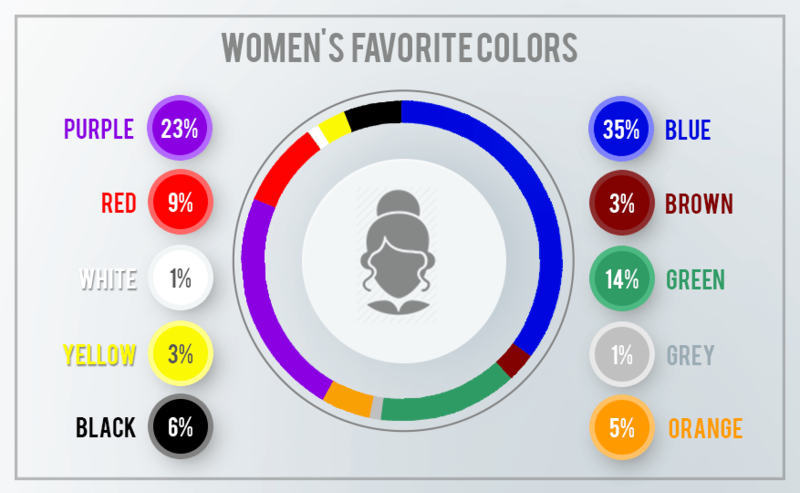 Our color preferences greatly vary by gender and other factors such as age and environment. Aside from the perceived color appropriateness, gender also plays a great role. Have you seen a purple or pink power tool? You haven’t, right? Me, too. These things are very subjective that’s why we have to look at the cultural perceptions on how we, in turn, perceive colors and its effects on us. Culture dictates color appropriateness for males and females that eventually affects the individual choices. Notice the dominance of the color blue in both genders. 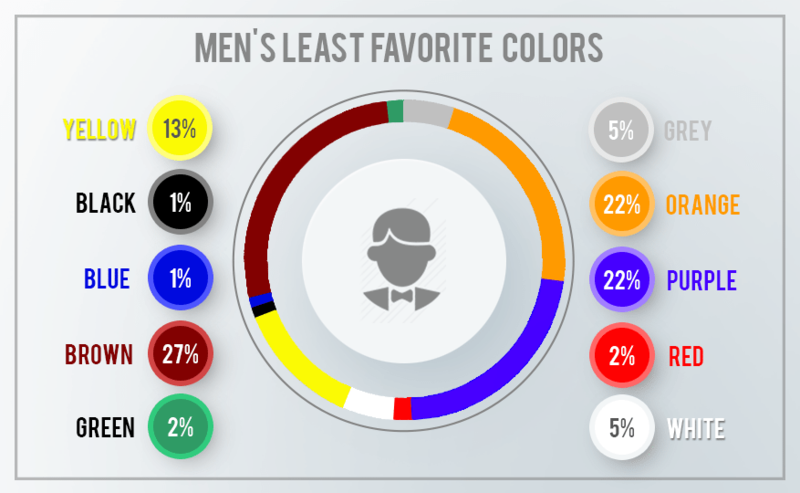 There is also a lack of preference for the color purple among the men. This explains why we haven’t seen a purple jigsaw or drill. Also, purple is not favored by older people. The same goes with yellow. Another great work deals with how pink became the color of femininity while blue is the color of masculinity. It was only until the Time magazine printed a chart, in 1927, that shows gender-appropriate colors based on the sales of the US-based clothing stores. This tells us that color preferences, while primarily cultural, change along with history and the preferences of the dominant sub-culture during that period. 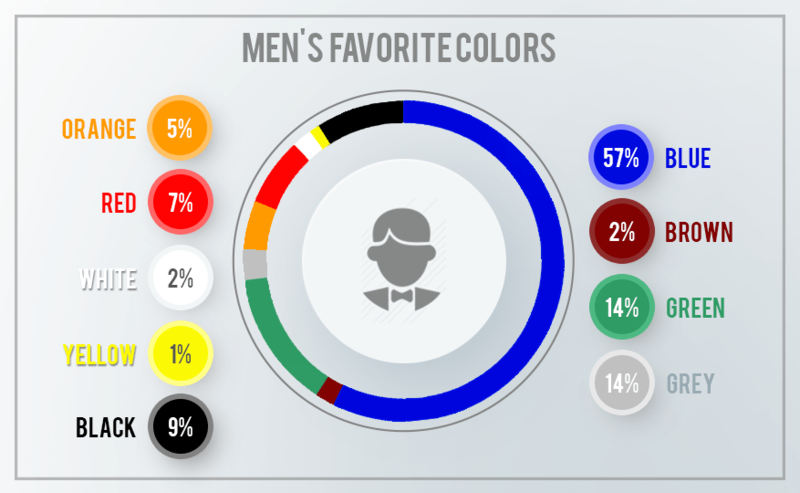 KISSmetric also published an infographic to show the wide disparity of the color preferences of men and women. 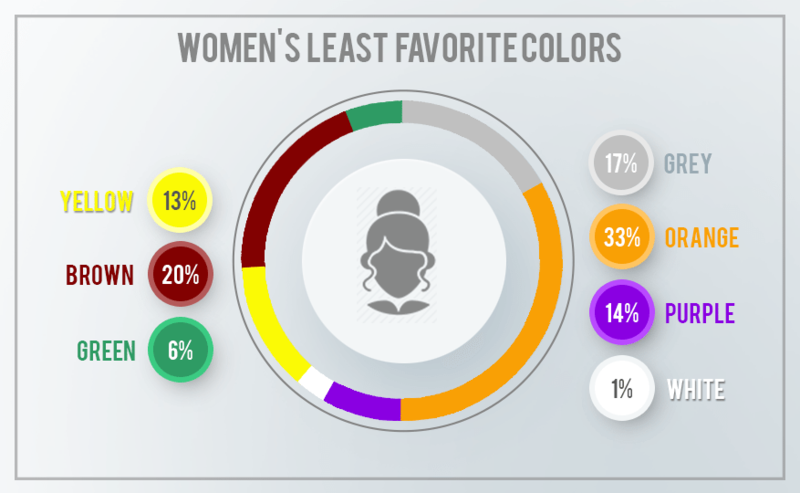 Bold colors are for men while softer colors are for women. Men choose shades while women choose tints. As published in Wired, even how we refer to a color differs culturally. A native English speaker perceives colors differently. Here’s a color map of an English speaker. 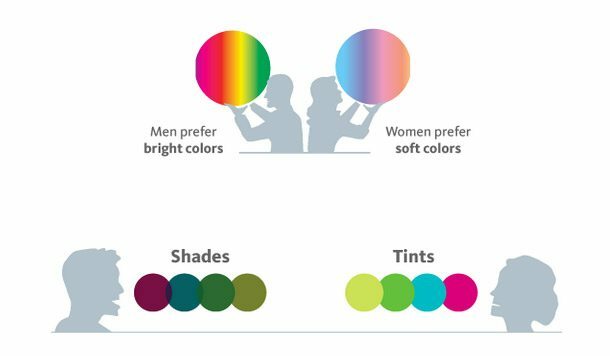 Keep the color preferences by gender and culture when choosing a brand color. There are unambiguously different preferences. Pick a color that appeals more to women or men, depending on which gender makes up a bigger percentage of your prospects. There is no best color for conversion. Also, there is no single color that converts a visitor into a paying customer. Culture also dictates how we name colors. We love how ‘mocha’ sounds yet hate how ‘brown’ sounds and looks. We don’t just perceive colors differently. Our color name perceptions also vary! We prefer fancy color names despite being presented with objects of the same color. This is the most difficult part for firms that actually deal with colors such as cosmetics and paint companies. 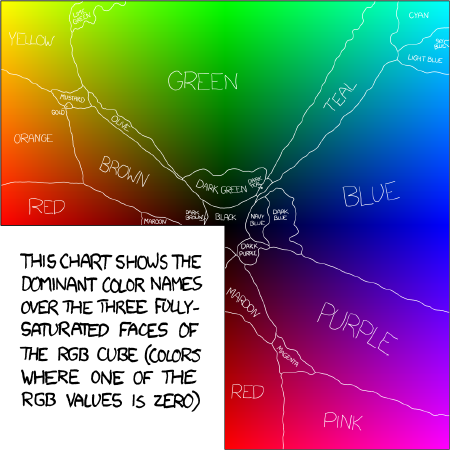 People also prefer unique and unusual color names. The more unique the color name is, the greater the purchase intent. This holds true for both food and non-food products. Evidently, you need to choose not just creative and descriptive color names, but also memorable names to describe the colors of your brand or product. The goal is making sure that the color and color names will achieve the biggest impact. Notice how the red button stands out because of its red color that completely contrasts the blue background. Some studies proved that people favor harmonious color combinations and small palette principle. This means that while there may be many different colors of products, the consumer will prefer a product with colors that perfectly blends yet the choice of colors should be limited. In lieu with color coordination, there might be a need to create visual structures. KISSmetrics emphasizes the art of color coordination. For instance, the brand logo must consist of base analogous colors and then contrast these with accent complementary colors. Here are the analogous and triadic color combinations. 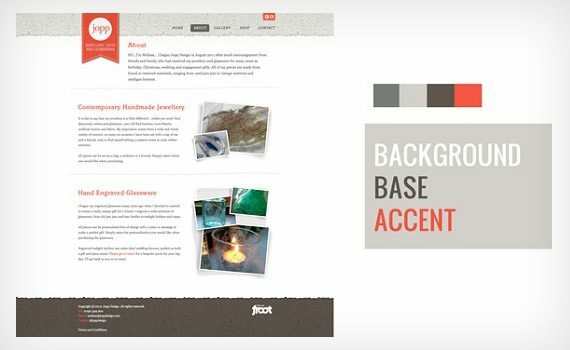 Creating a color hierarchy may also be considered, utilizing background colors in addition to base and accent colors. There are analogous and complementary color combinations, and then there are monochromatic combinations. This is applicable to both brands and corporate sites. You may not realize this now, but color coordination matters much in conversion. 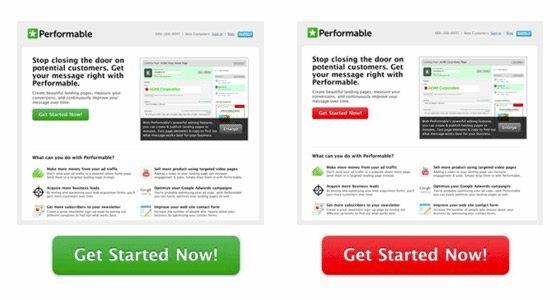 When it comes to optimization and conversion, however, the color of buttons requiring actions is a matter of debate. This button test proved that the color of the button psyches the audience to act on what they are seeing. Red won by 21%! Remember that red is a complementary color to green. Apparently, green is the dominant color of the site. Red perfectly contrasts the dominant color. This is where the role of visual contrast comes in. That’s why it was clearly noted that you need not go with the stereotypes. If challenging the status quo is your thing, go ahead. Do so! 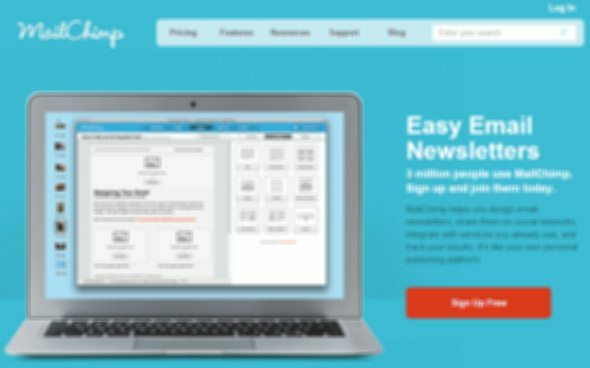 Here’s another perfect example of visual contrast (or isolation effect at work) and how it affects conversion. The number of downloads with the following prompt variations. Before you scroll, take a good guess which combination produced the most downloads? #10 and followed by #9. They outperformed the others because of the contrast not just in color, but also in font size. Ultimately, it is clear what the users need to do (a clear call to action). 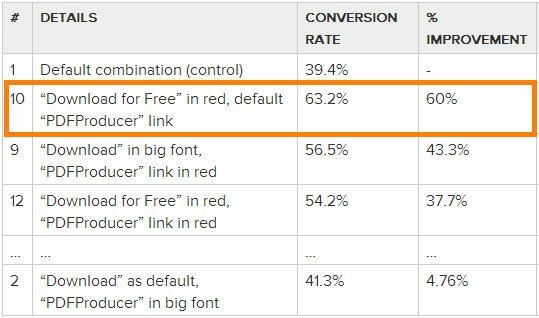 See how important color contrast is in conversions? What this study wants to tell us is that isolation effect must be considered when determining the color palette of not just your brand, but your entire marketing collaterals. The choice of colors will guide the users into the most important action areas.